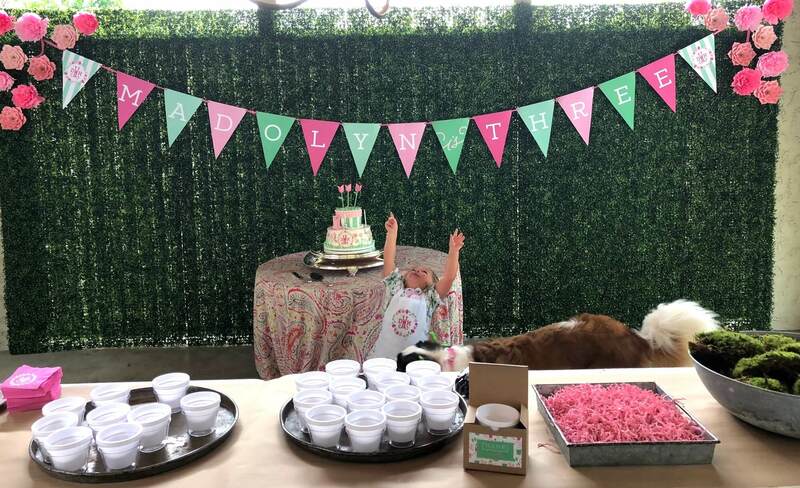 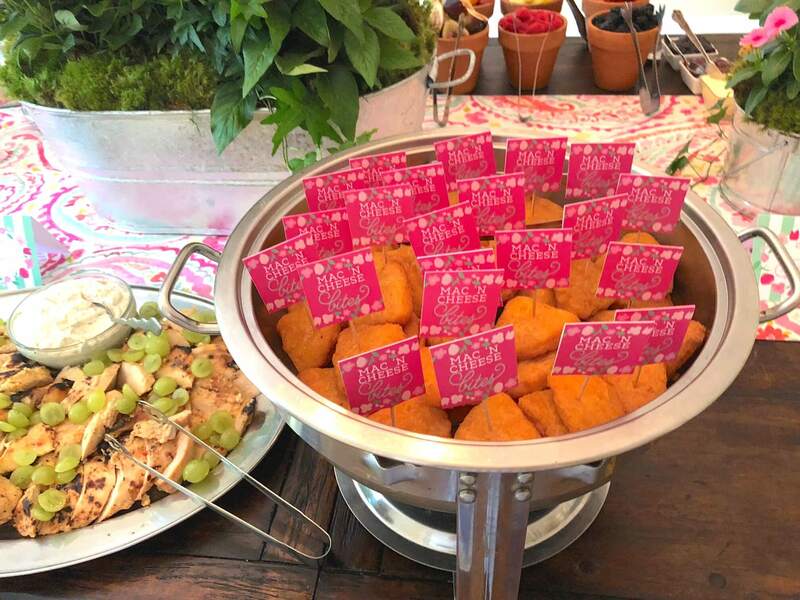 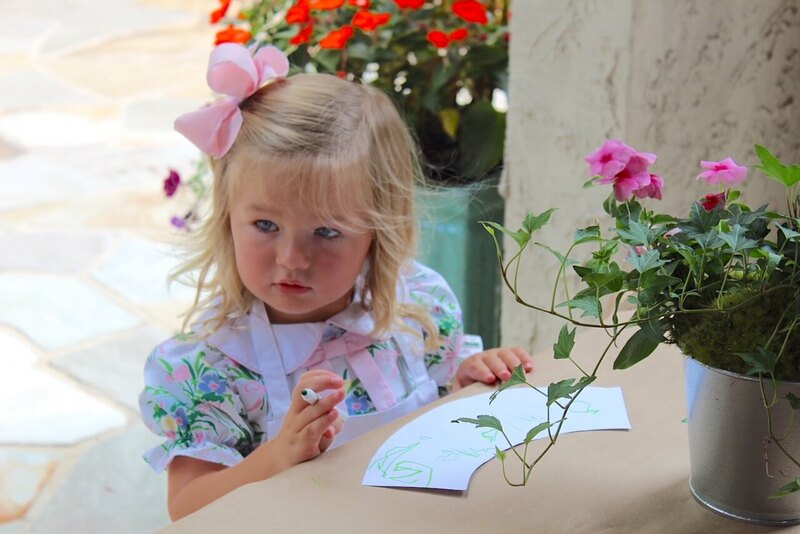 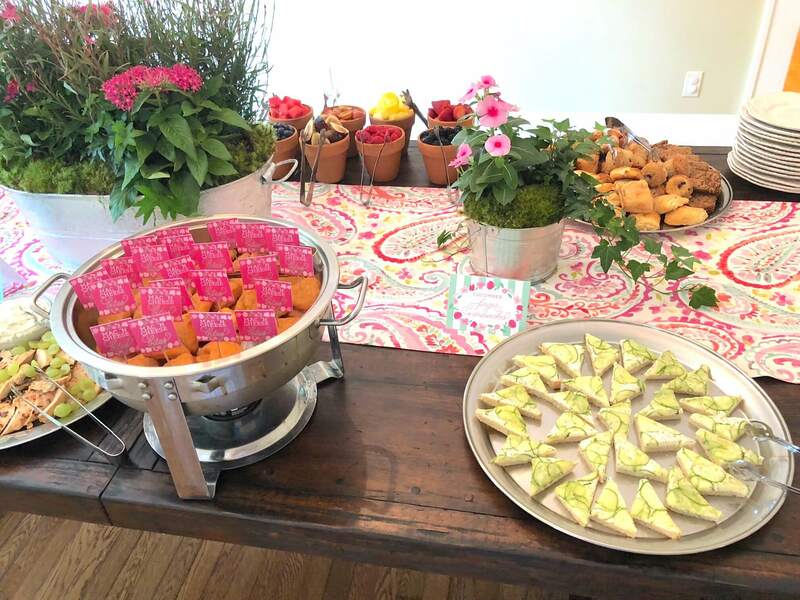 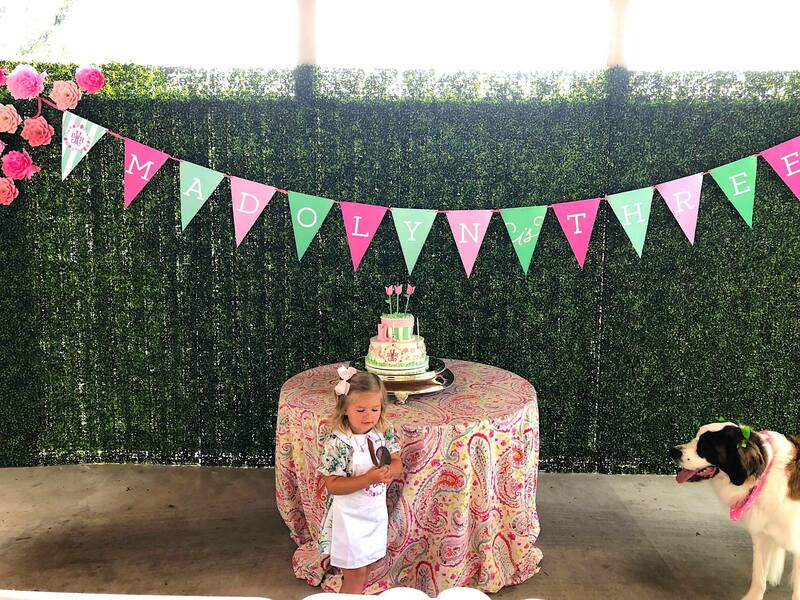 We love a creative theme, and sweet Madolyn loves helping mom plant flowers, so she decided to have a gardening birthday party! 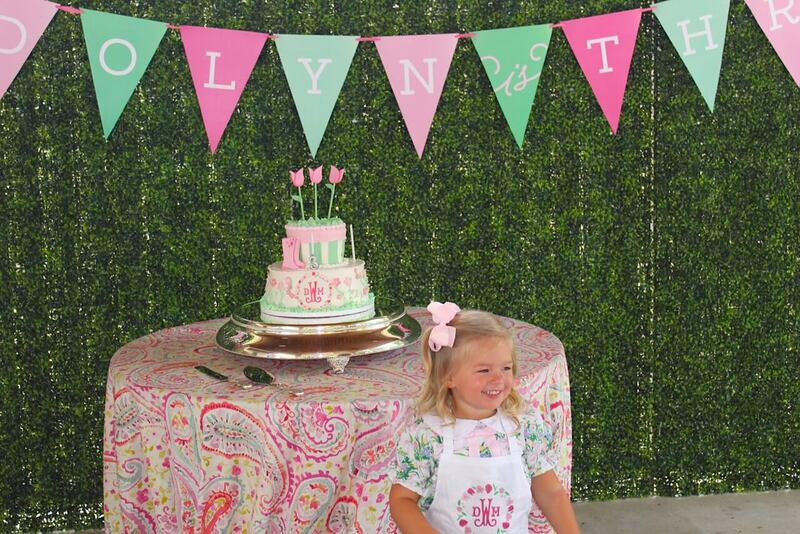 Seriously, this is the cutest idea ever! 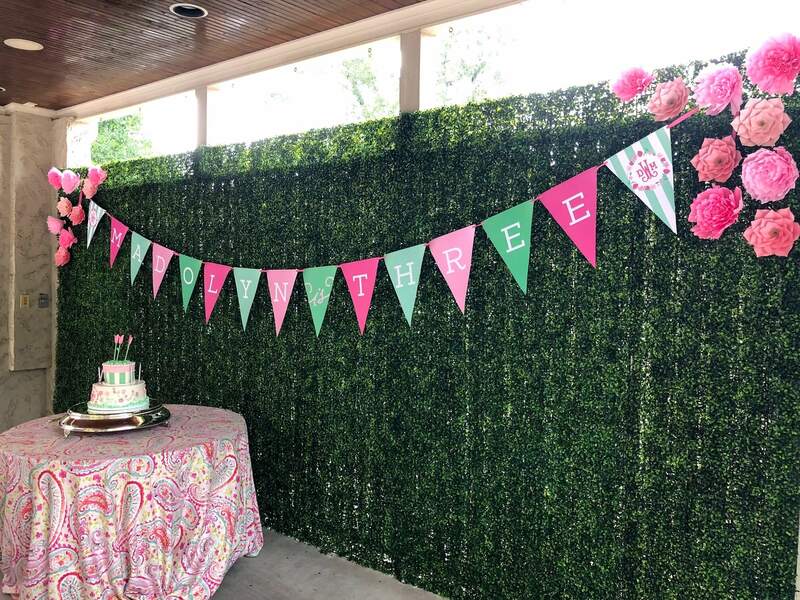 Also, it keeps the kids outside and doing something fun! 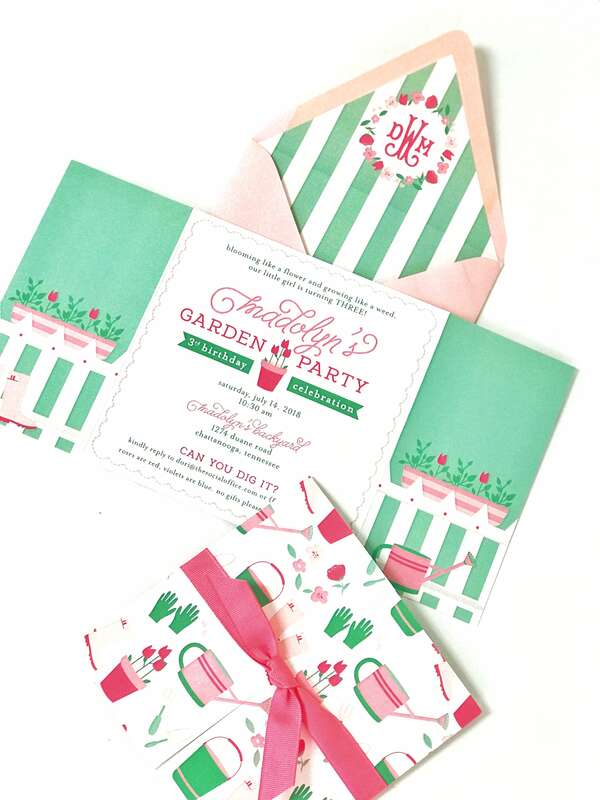 For Madolyn’s invitations we designed a gate fold invitation with an adorable outer pattern of tiny pink rubber boots, green gardening gloves, and pink watering cans! 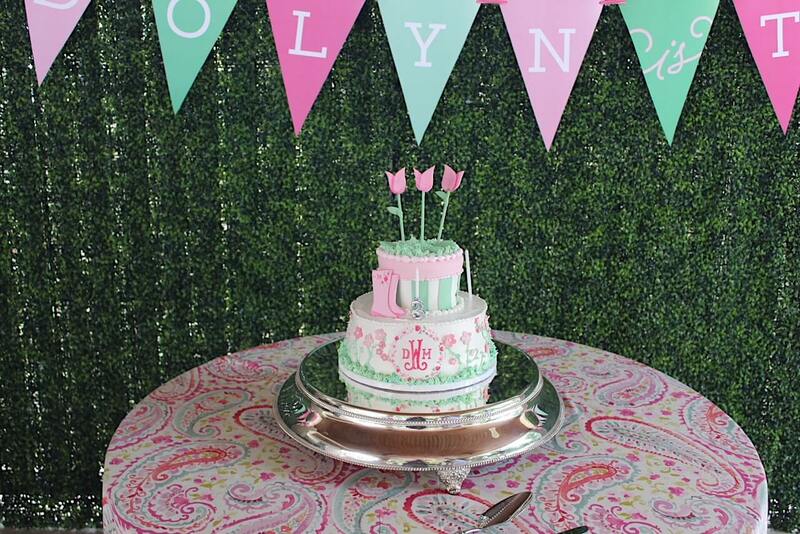 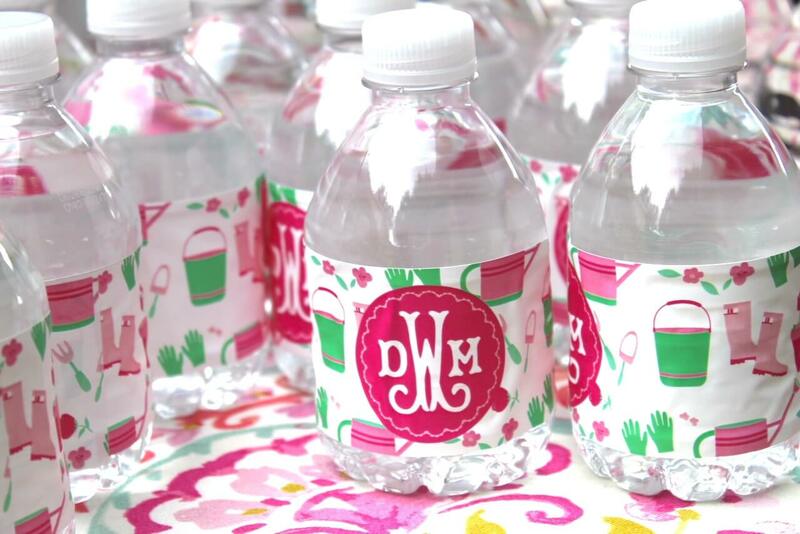 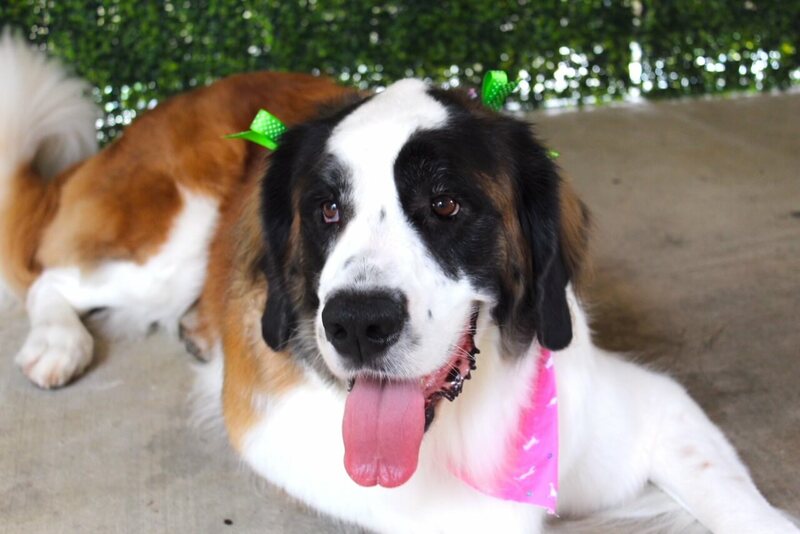 The liner was mint green and white striped with her monogram inside a floral wreath! 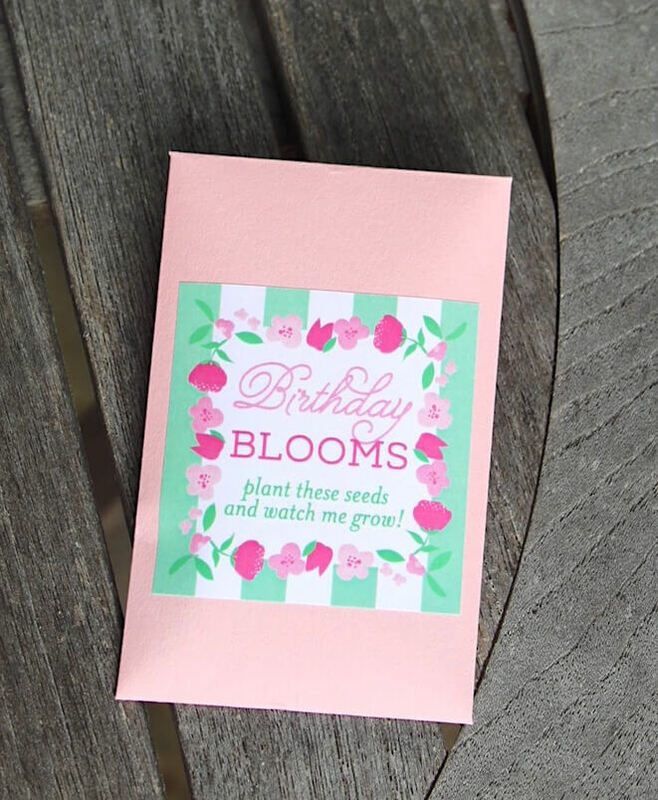 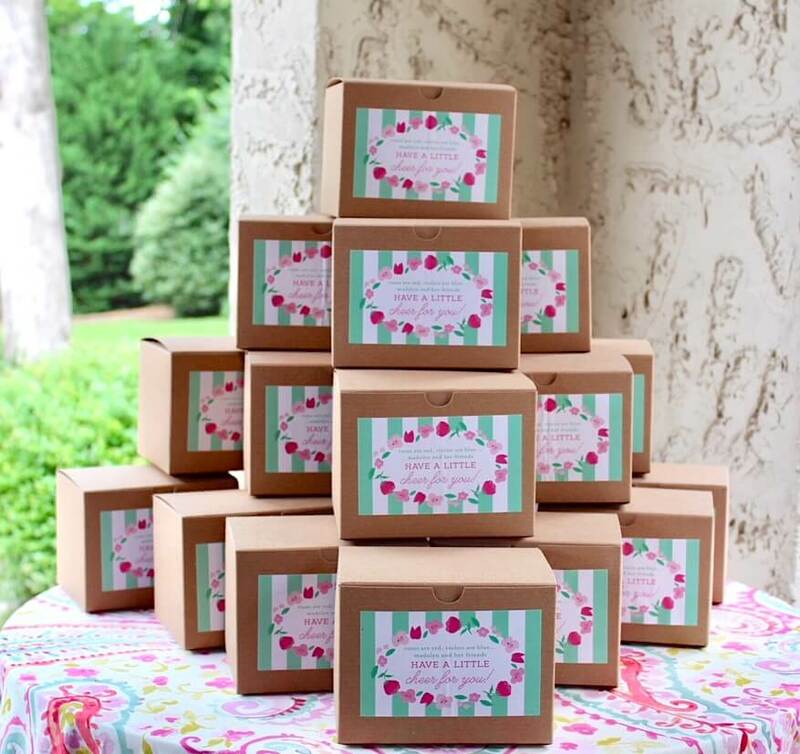 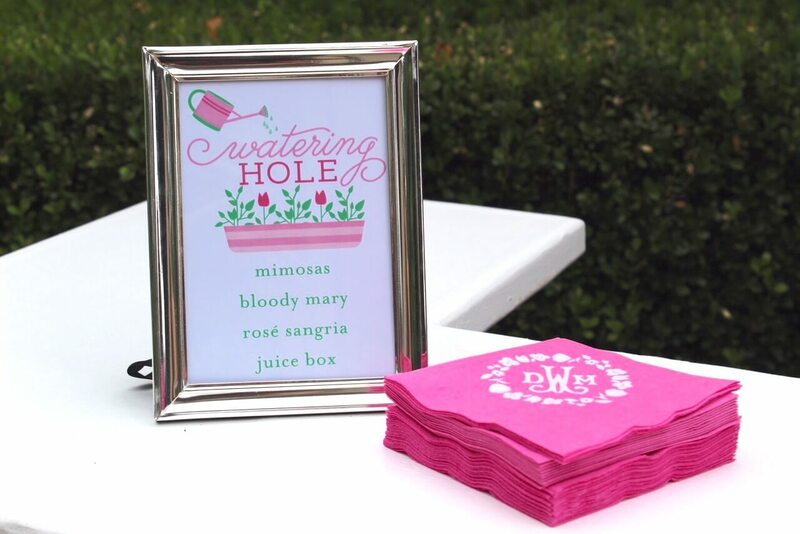 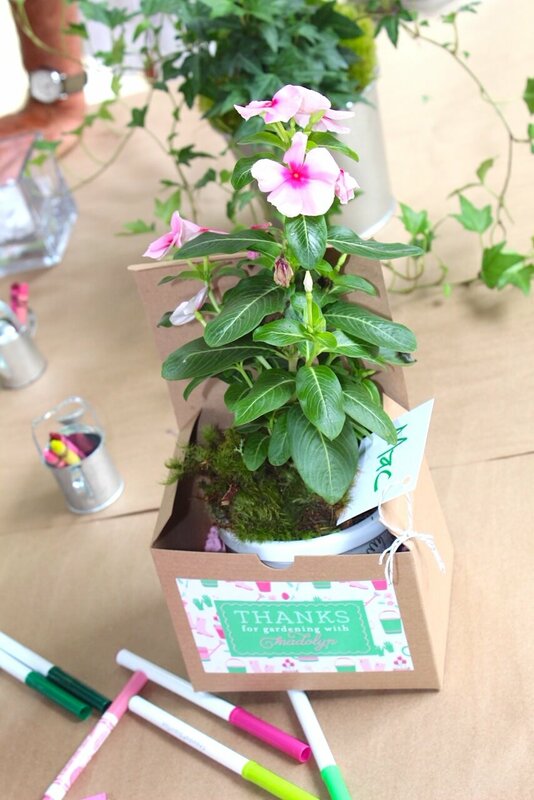 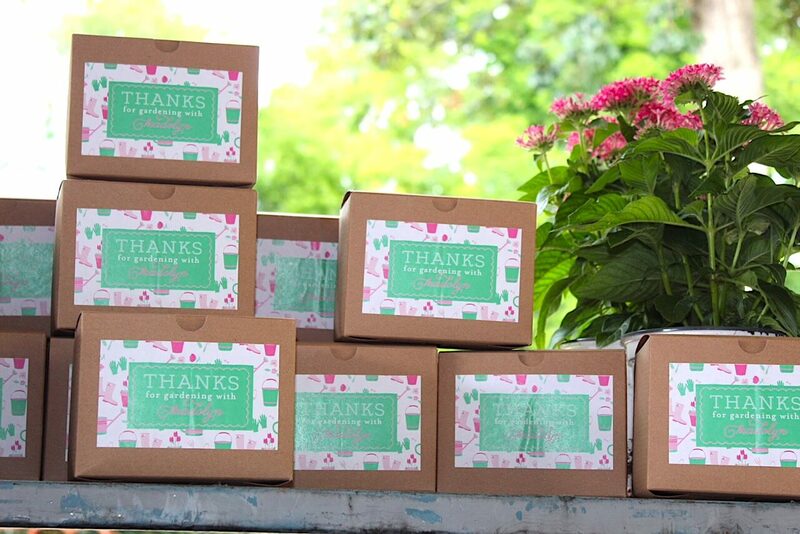 The invitations were tied with pink grosgrain and were so perfect for this gardening birthday party! 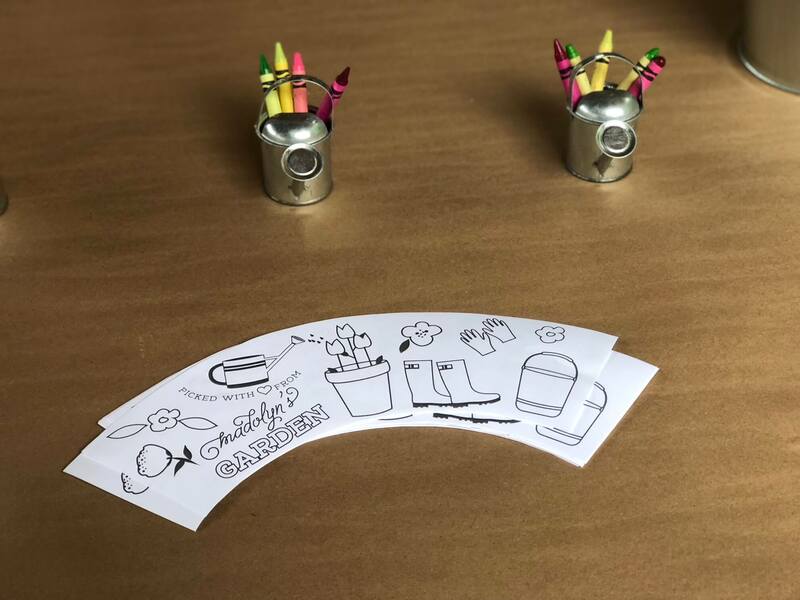 We designed custom coloring inserts that went inside small plastic pots for each child, with the elements from the invitation to color in! 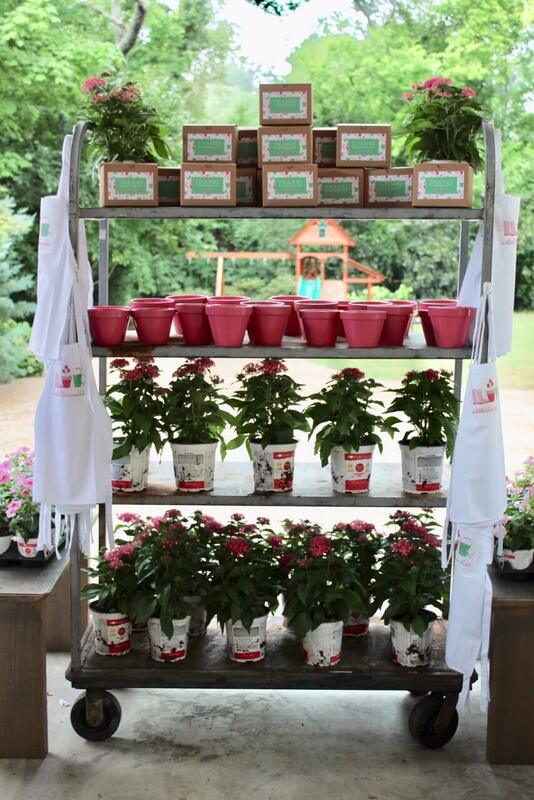 Each child potted a plant for themselves and then one also for the local children’s hospital! 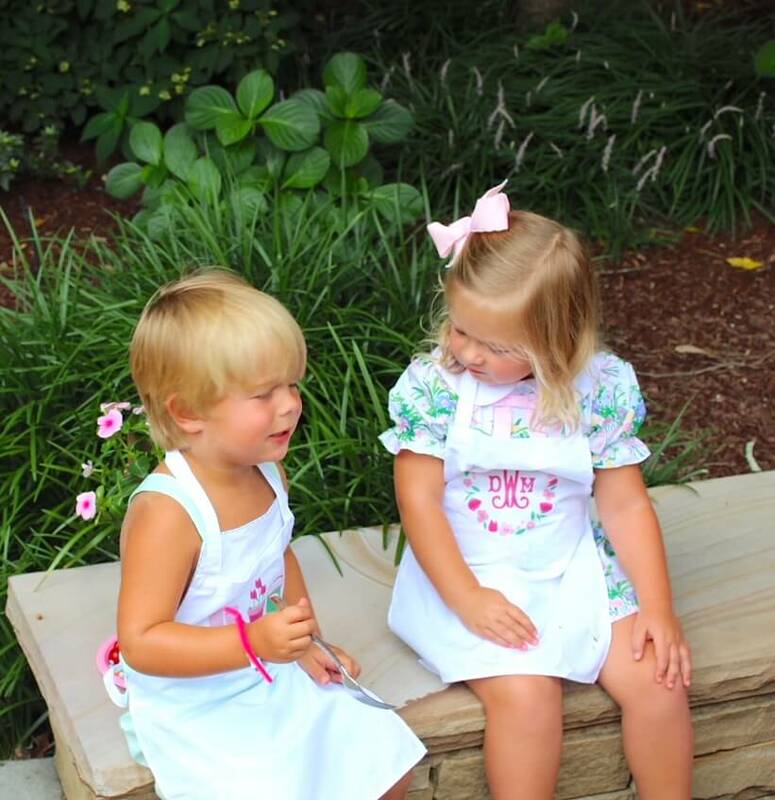 Such a sweet idea and teachable moment! 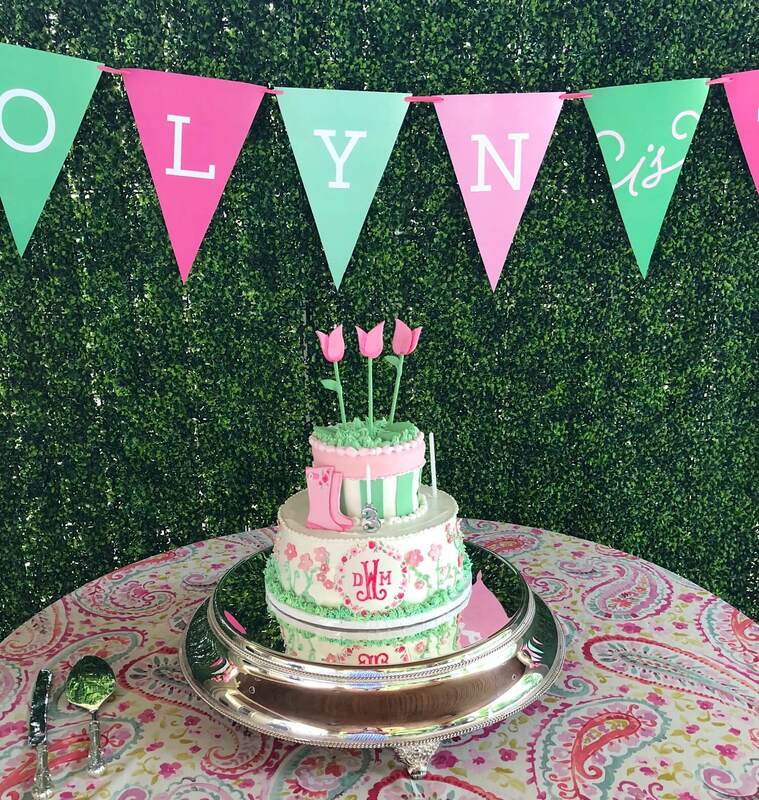 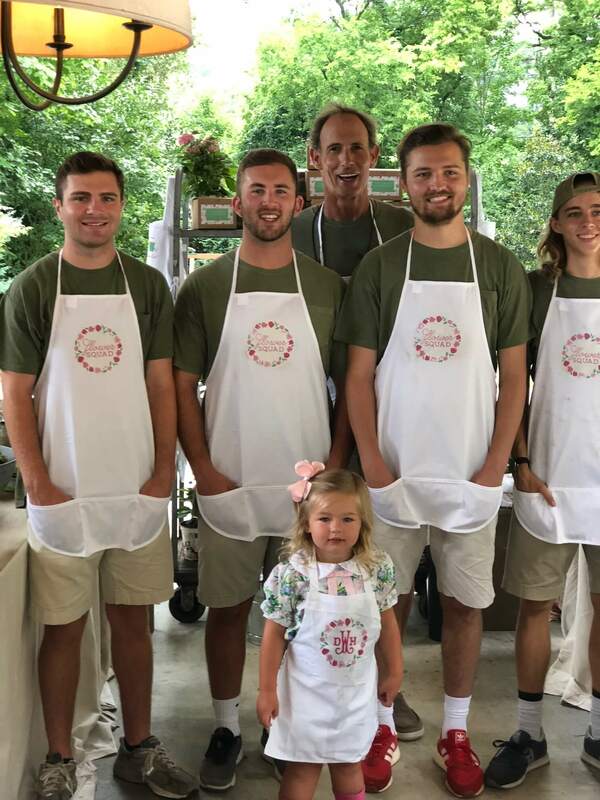 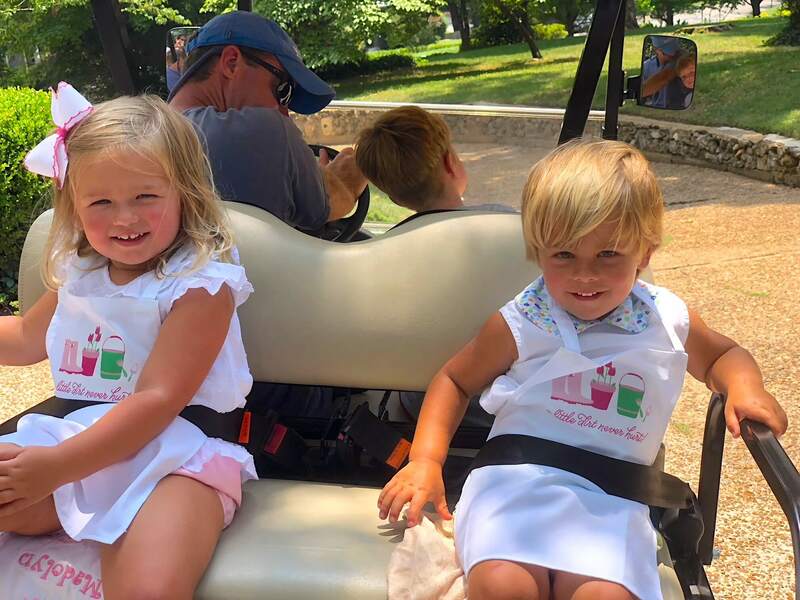 Madolyn’s cake was custom made by Dessert Designs in Nashville and staff from the Clay Pot in Chattanooga came to help all the kiddos with their planting! 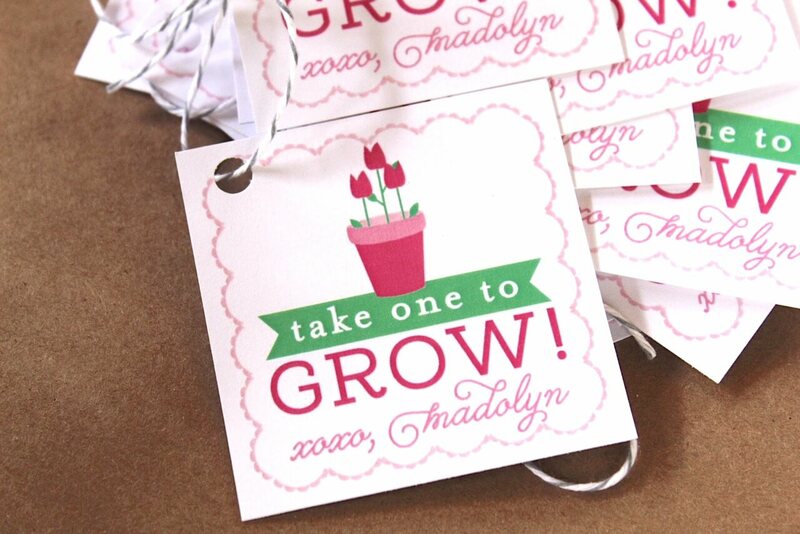 Seed packets were also given out and the plants were tied with favor tags reading “take one to grow! 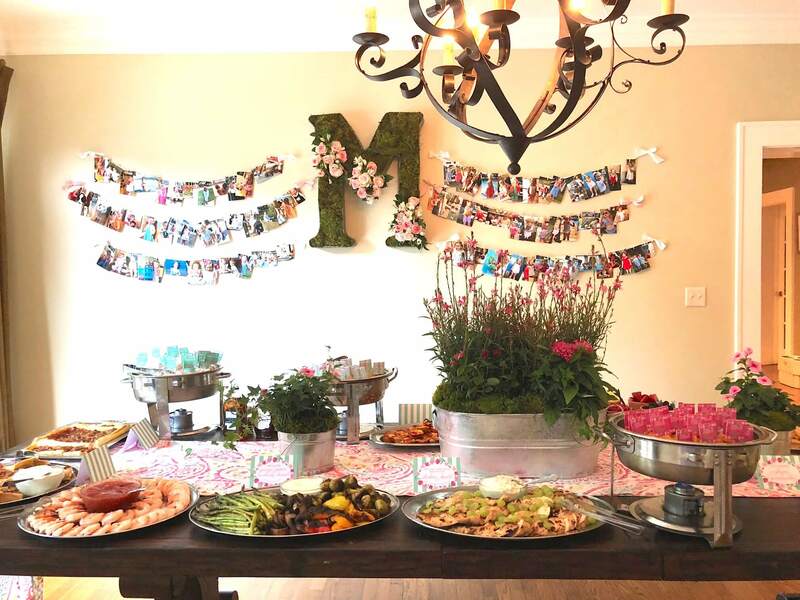 xoxo, Madolyn”. 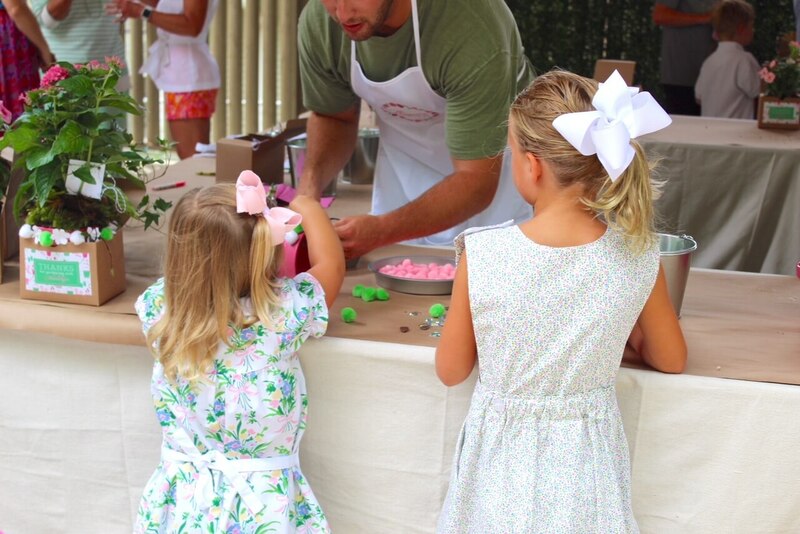 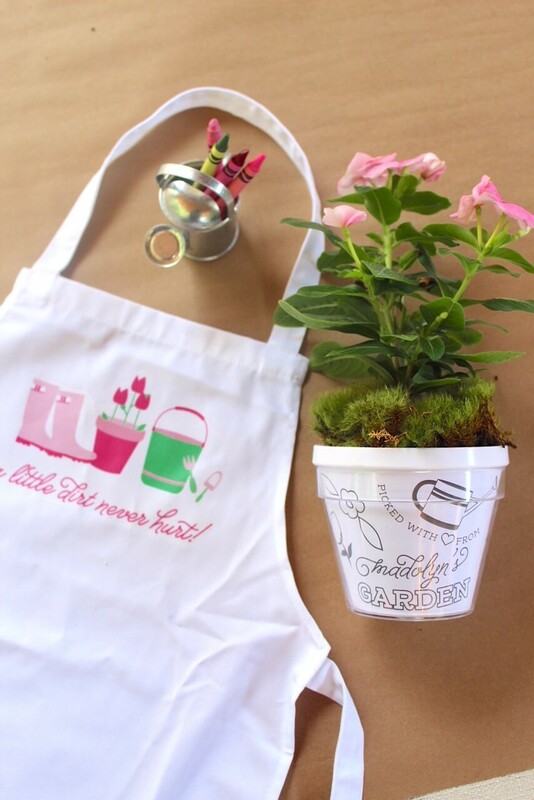 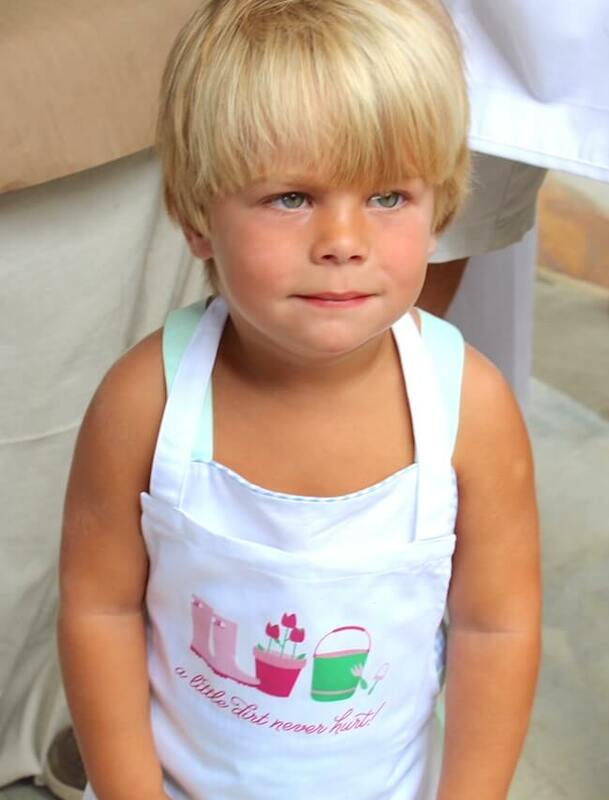 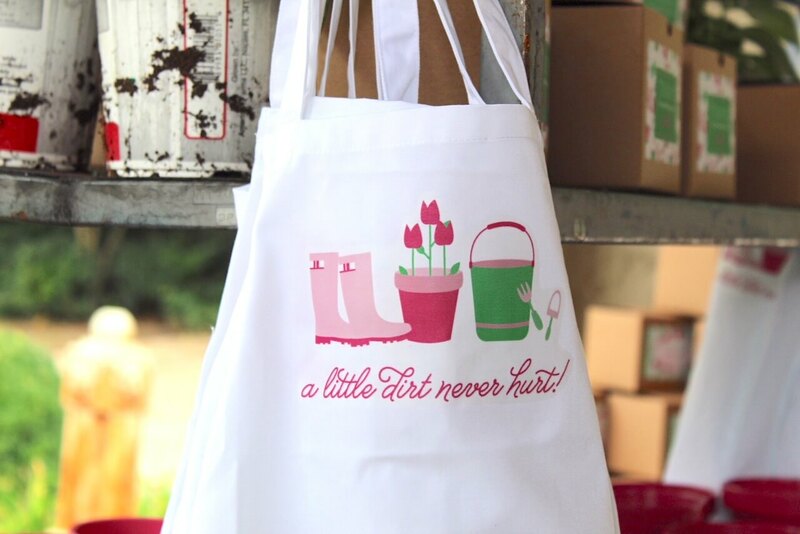 But our absolute favorite part we designed had to be the precious aprons we made for each child! 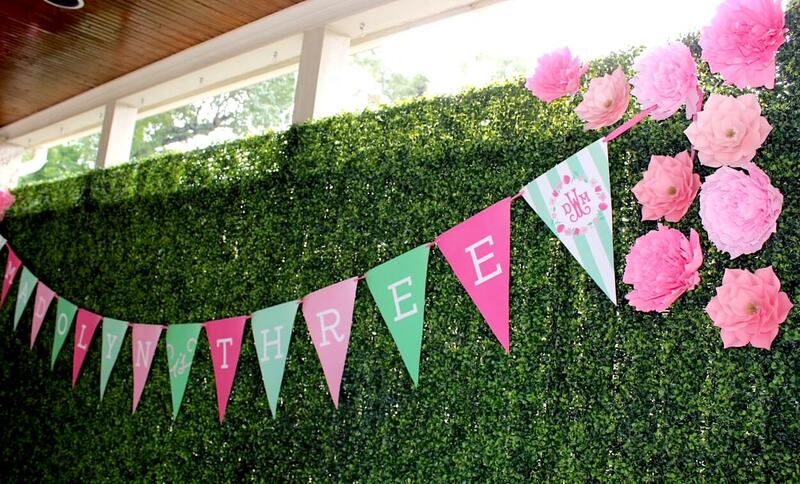 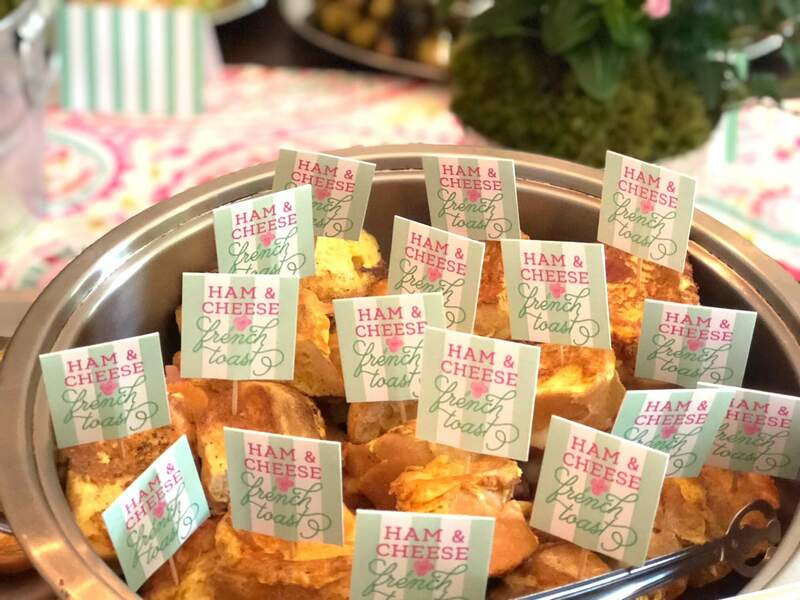 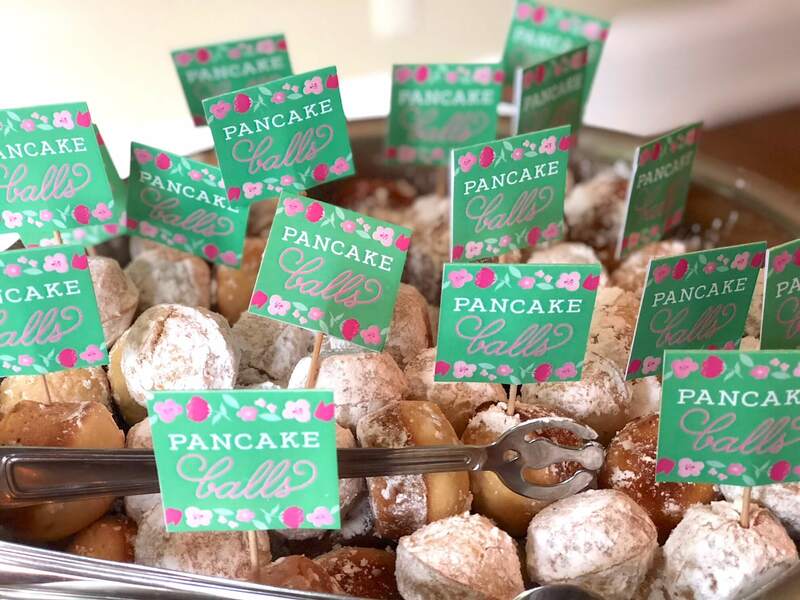 They read, “a little dirt never hurt” and had the invitation motifs scattered as well! 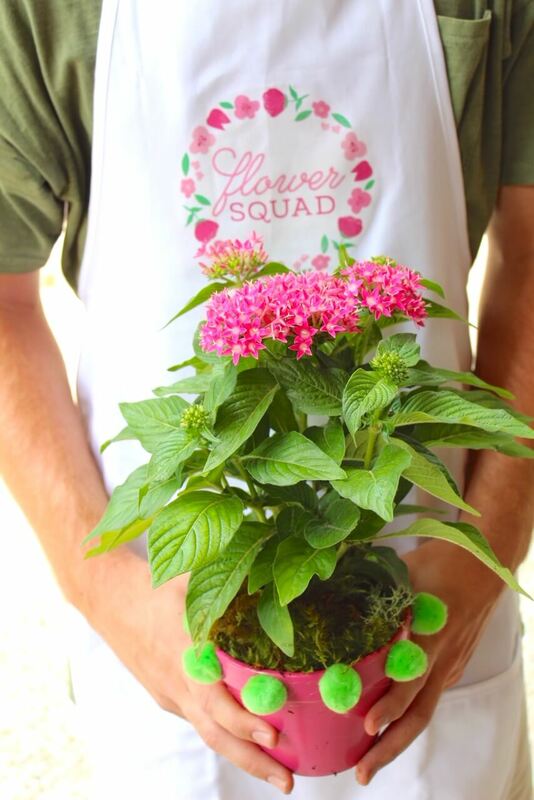 The staff from the Clay Pot wore large aprons with the imprint, “Flower Squad” which we also designed! 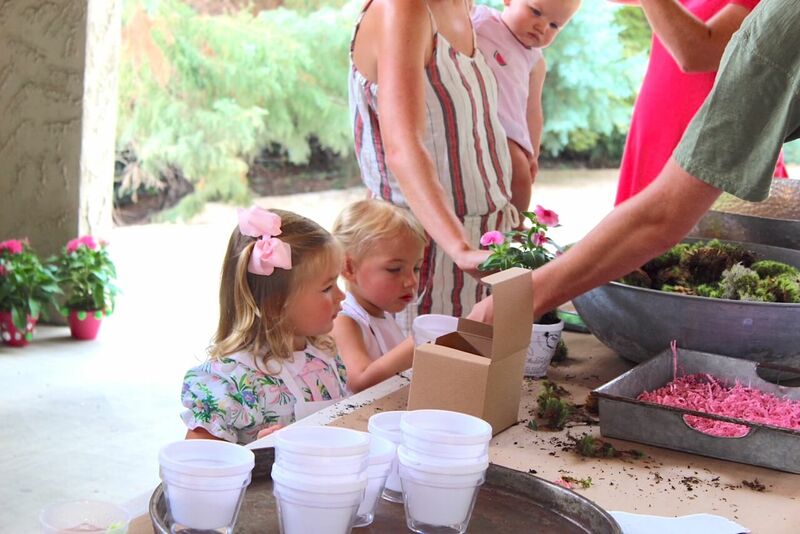 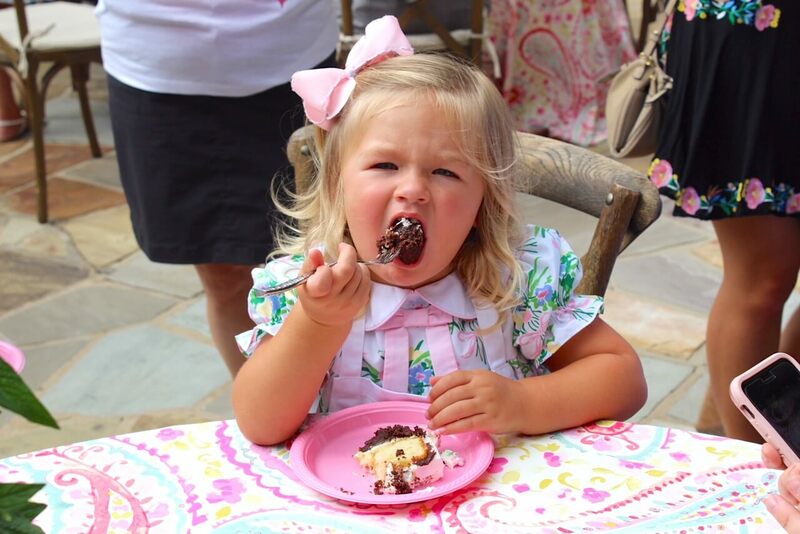 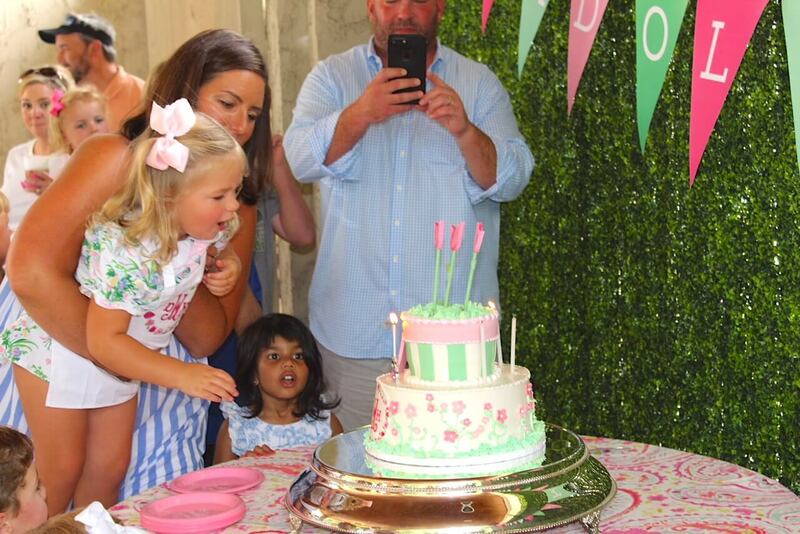 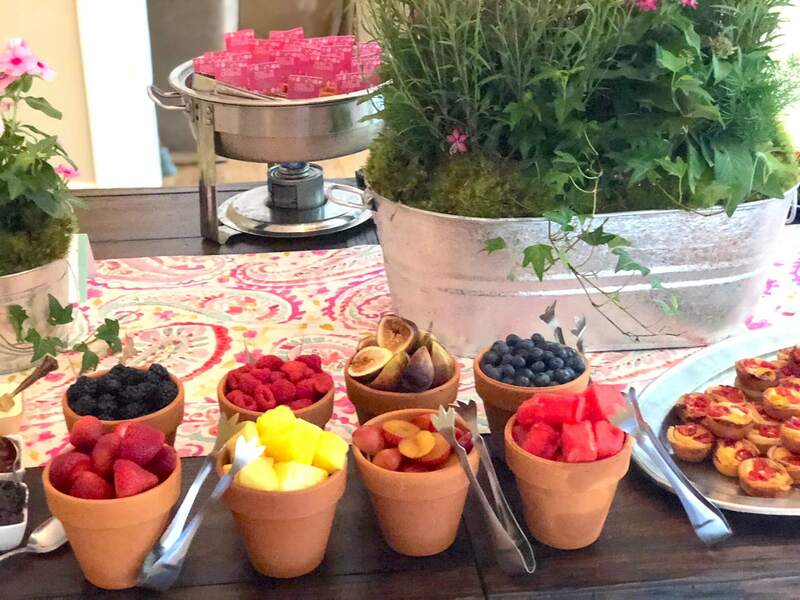 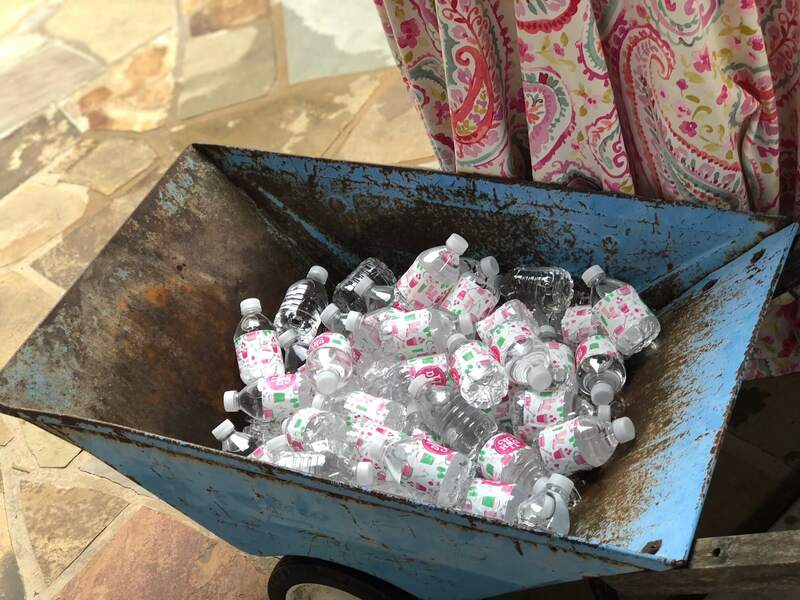 This has to be the cutest gardening birthday party we have ever seen!